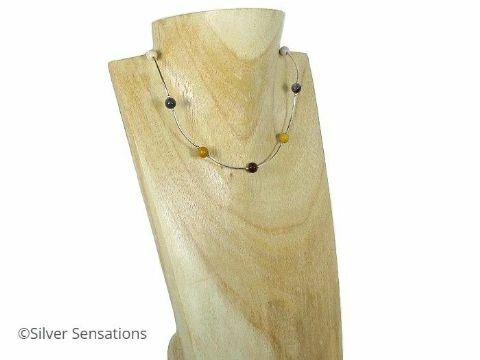 All my handmade necklaces are designed & created by me. 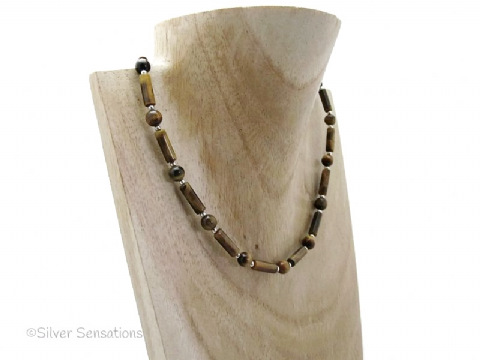 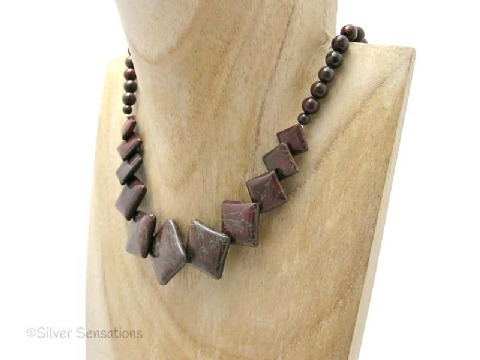 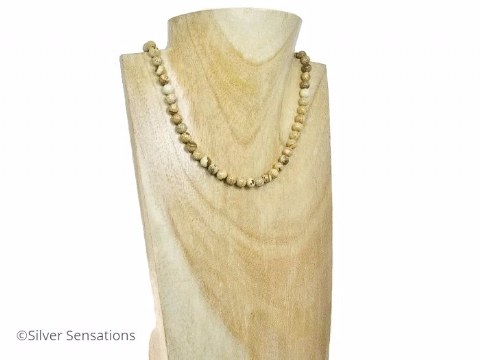 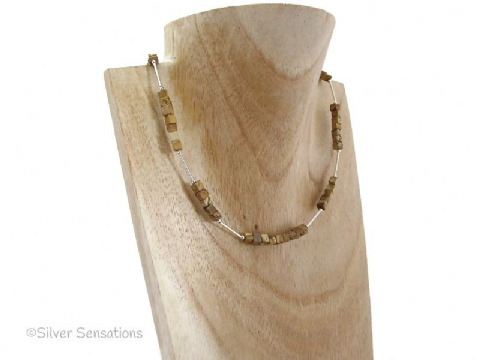 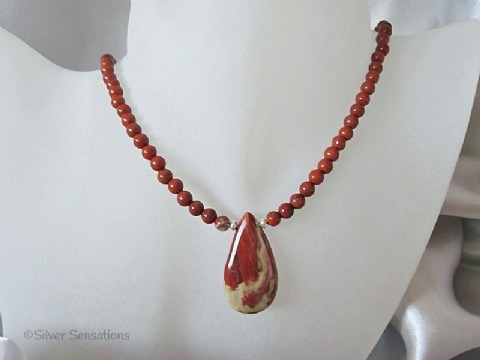 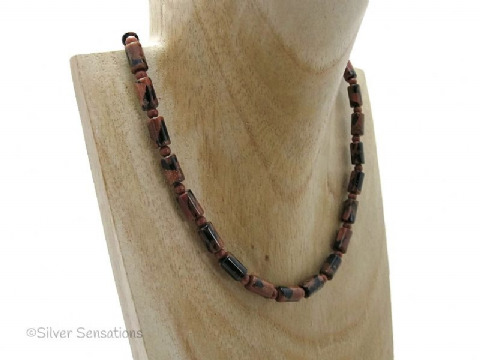 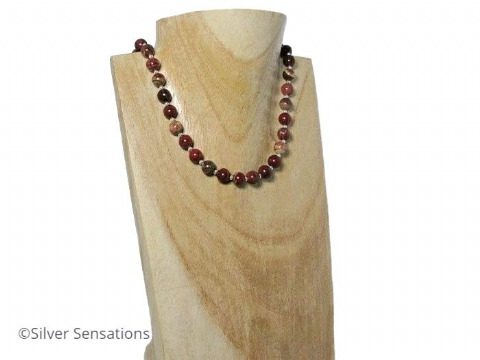 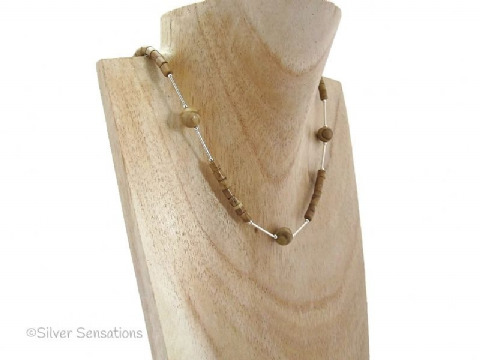 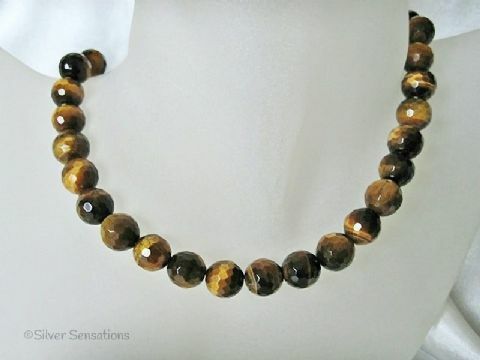 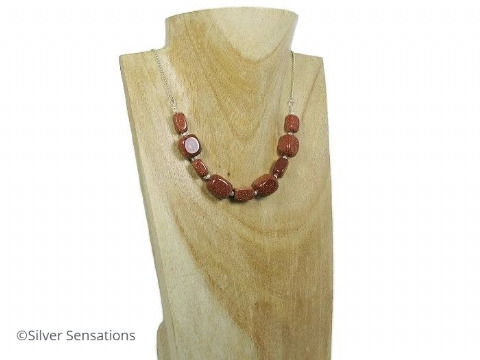 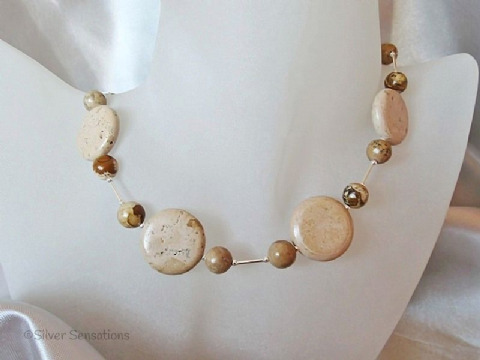 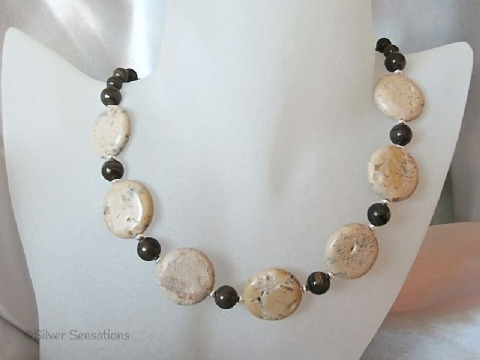 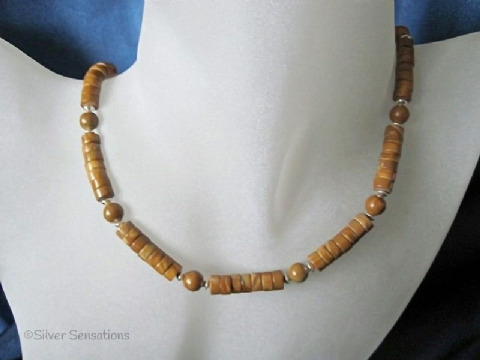 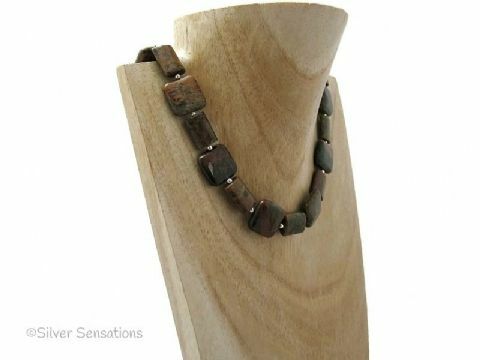 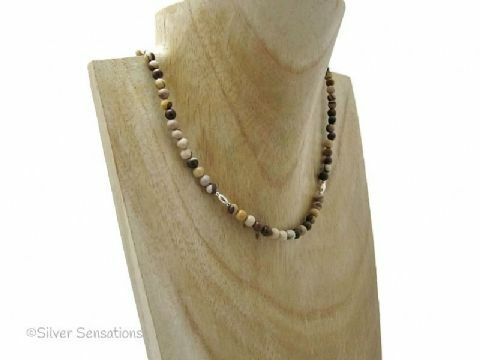 This category includes brown semi precious gemstone beads of Blue/Brown Goldstone Sandstone, Rainbow Agate, Multi Coloured Mookaite, shapes of Brown Tiger's Eye, shapes of Gold Lace Agate, Brown Zebra Jasper, Brown Obsidian, Sand Jasper, Red Jasper, Red River Jasper, Swarovski Pearls, Picasso Jasper, Rainbow Jasper & Picture Jasper. 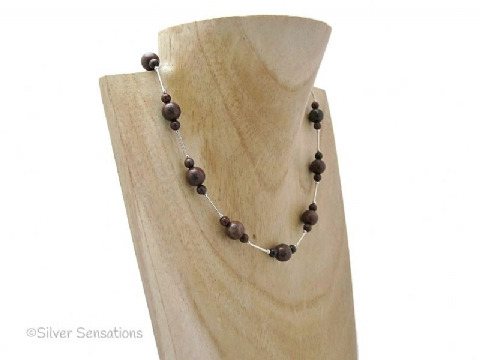 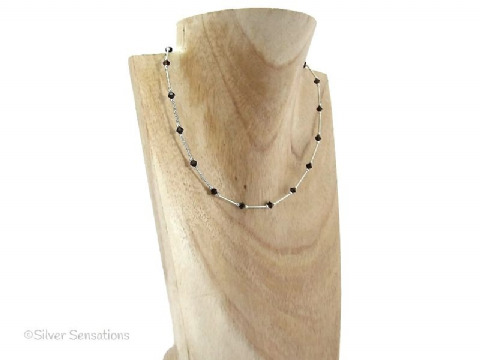 Some designs also have Sterling Silver tubes for added elegance.